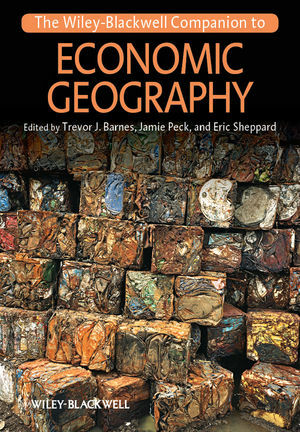 The Wiley-Blackwell Companion to Economic Geography presents students and researchers with a comprehensive overview of the field, put together by a prestigious editorial team, with contributions from an international cast of prominent scholars. Trevor J. Barnes has been at the University of British Columbia, Vancouver, since 1983, and is currently Professor and Distinguished University Scholar. He is the author or editor of nine books, including Politics and Practice in Economic Geography, Reading Economic Geography, A Companion to Economic Geography, and Logics of Dislocation. Jamie Peck is Canada Research Chair in Urban & Regional Political Economy and Professor of Geography at the University of British Columbia. He is the author or editor of nine books, including Constructions of Neoliberal Reason, Politics and Practice in Economic Geography, Contesting Neoliberalism: Urban Frontiers, and Reading Economic Geography. Eric Sheppard is Regents Professor of Geography and Associate Director of the Interdisciplinary Center for the Study of Global Change, at the University of Minnesota. He is the author or editor of eight books, including A World of Difference, Politics and Practice in Economic Geography, Contesting Neoliberalism: Urban Frontiers, and A Companion to Economic Geography.